Fast and easy installation and removal of seat. 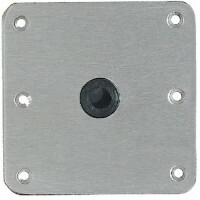 Mounts on any flat 8" x 9" surface. 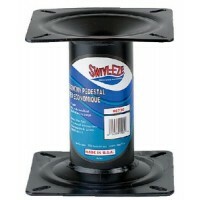 Swivel: 7"..
Fast and easy installation and removal of seat. 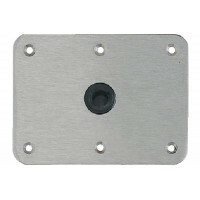 Mounts on any flat 8" x 9" surface. 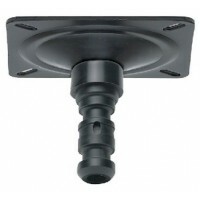 Swivel: 6-1/4".. 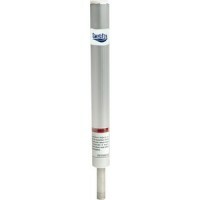 Snap lock post 13in Pkg. 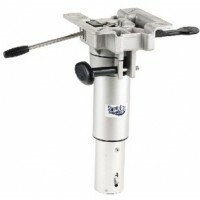 : RetailABYC: BFinish: AnodizedHeight: 13"..
Seatmount 1.77 inch snap-lok Pkg. 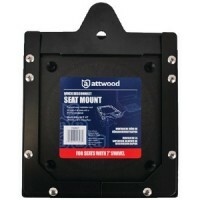 : BulkABYC: ANFinish: E-Coat..
1.77 seat mount-skin packed Pkg. : RetailABYC: ANFinish: E-Coat.. Fixed height 3/4" pin post. 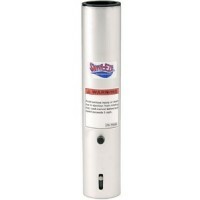 1.5" diameter brushed aluminum posts. Steel pin. Post: Non-threaded, Bul.. Fixed height 3/4" pin post. 1.5" diameter brushed aluminum posts. Steel pin. Post: Non-threadedABYC:.. Fixed height 3/4" pin post. 1.5" diameter brushed aluminum posts. Steel pin. Post: ThreadedABYC: BHe.. Satin anodized finish. Not recommended for use with other manufacturers' products. Pkg. 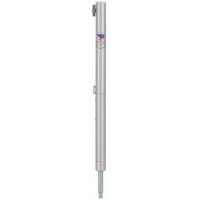 : RetailABYC:..
Adj height pin post 15in-18in Type: Non-threadedABYC: BPin: SteelHeight: 14"-17"..
Power pedestal - 3/4 Type: Non-threaded, BulkABYC: BPin: SteelHeight: 15"-18"..
Power ped-adj height 13-16.5in Pack: RetailABYC: AOFinish: AnodizedHeight: 13" - 16-1/2"..
2-3/8" diameter. Anodized aluminum. Anti-rotation locking pins. 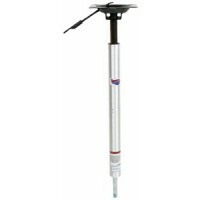 Height is measured from deck to top ..
Seat mount wo/slider left hand Handle: LeftPkg. 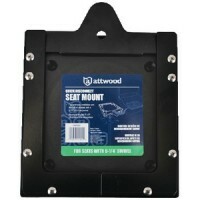 : BulkABYC: AODescription: Plated steelTilt: ..
238 series seat mnt 3 deg Handle: RightPkg. : BulkABYC: AODescription: Plated steelTilt: ..
Seat mount plated fwd handle Handle: RightPkg. 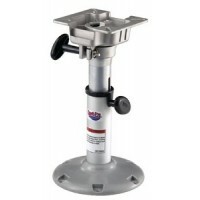 : RetailABYC: AODescription: Plated steelTilt: ..
Power pedestal 24 Type: Non-threaded, BulkABYC: BPin: SteelHeight: 24"-30"..
24 -30 adj power ped/seat mt Type: ThreadedABYC: BPin: SteelHeight: 24"-30"..
Power pedestal - 3/4 Type: Non-threaded, BulkABYC: BPin: SteelHeight: 24"-30"..
Adj ht pin post 24in-30in thd Type: Threaded, BulkABYC: BPin: Stainless SteelHeight: 24"-30"..
Power pedestal twist-lock Type: ThreadedABYC: BPin: SteelHeight: 24"-30"..
Locks together to prevent unintentional detachment. Nylon bushing unless otherwise noted. Mtg Hole: .. 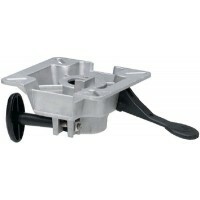 Lock'N-Pin Locks together to prevent unintentional detachment for seat mounts, posts and pedestals2-..
ABYC code: AO. Size: 7" x 7"Pkg. 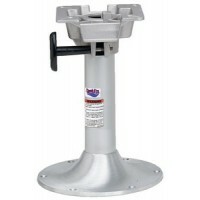 : RetailABYC: AOFinish: Stainless..
8 seasport anod pedestal Base: Non-AnodizedABYC: AOHeight: 8"..
238 series fl base 9inround al Size: 9"Pkg. 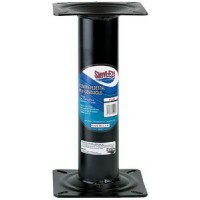 : BulkABYC: AO..
238 series fl base 9inround Size: 9"Pkg. : RetailABYC: AO..
ABYC code: AO. Size: 9" RoundPkg. : RetailABYC: AOFinish: Aluminum..
Baked-on black powder coated finish. Reinforced with washers welded at stress point. Offers exceptio.. 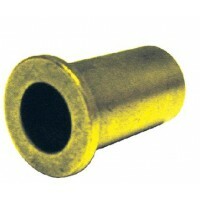 Bronze bushing - 1 pc. Description: Bronze.. 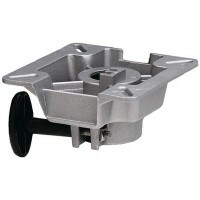 Plastic inserts Description: For aluminum bases & posts..
Lakesport 238 fixed bell pedes ABYC: ANHeight: 13"..
238 post for lakesport seat mo ABYC: ANFinish: AnodizedHeight: 13"..
238 post for lakesport seat mo ABYC: ANFinish: CamoHeight: 13"..
Lakesport 238 power pedestal ABYC: AOFinish: AnodizedHeight: 13"-16"..
Power ped 2 3/8in 25in-32in ABYC: AOFinish: AnodizedHeight: 25"-32"..
Seat mount w/ friction control Type: Non-lockingABYC: AN..
Seat mount w/ friction control Type: LockingABYC: AO..
Lakesport 238 bell pedestal se ABYC: ANFinish: AnodizedHeight: 14"-20"..
25 -31 adj stand-up pedestal Post: Non-ThreadedABYC: BHeight: 25"-31"..
Adj height post manual 25-31in Post: ThreadedABYC: BHeight: 25"-31"..